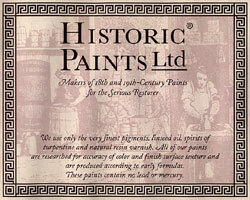 We use only the very finest pigments, linseed oil, spirits of turpentine and natural resin varnish. All of our paints are researched for accuracy of color and finish surface texture and are produced according to early formulas. These paints contain no lead or mercury. True “ropy” finish, retaining some bristle brushing marks. Make sure the surface is smooth and free of dust, grease, and dirt. Be sure to stir the paint very well before use. Use a premium oil base alkyd primer and apply with a natural bristle brush. Apply two moderately thin coats of our finish paint in the direction of wood grain or architectural element. Allow one full day to dry, depending on local conditions. Very slow drying. Make sure that the first coat has dried completely before applying the second. Do not use on high abrasion surfaces without a finishing coat of our Golden Spike Railroad Varnish. Fully lead and mercury free. Sold in Quarts only for $89.95 Includes shipping anywhere in the Continental U.S. Orders cannot be accepted from overseas or Canada at this time. 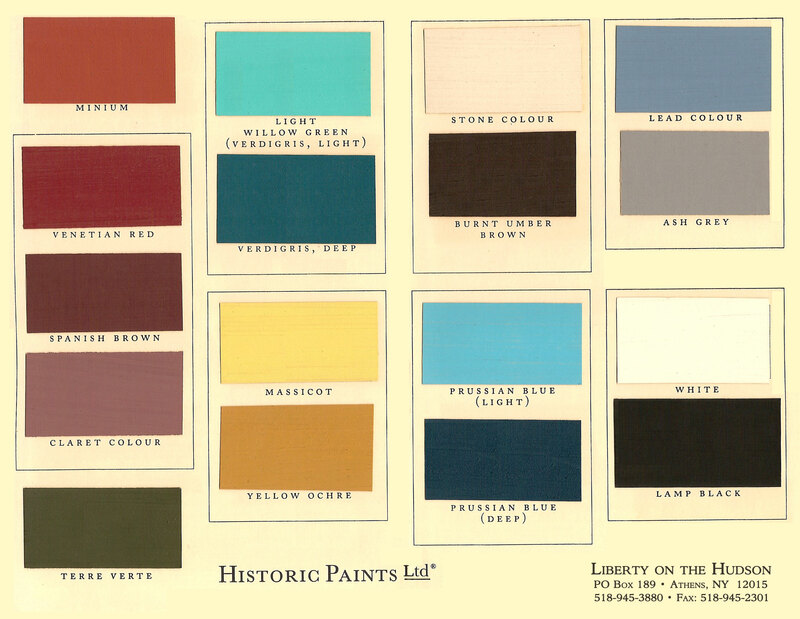 Click color chart to enlarge. Please check for current color and availability.